One of the biggest jobs we had was actually for a university. So it ended up being one of the principals of the university in Melbourne and we ended up doing all their plumbing work for them. We tend to find that a lot of our customers do keep these magnets whether it's on their hot water service or on their fridges, so in our line of business it's fantastic. Yeah, my first batch was probably, Jesus, 10 years ago. I went to a job and the old one was still up on the fridge, which was funny. So there you go. I get calls, I'm busy and I'm loving it. I thank Mister Magnets man to be honest. Repeat business, and additional customers on top of that as well. When you're starting your business, that's what you need to be able to have something to give people so they know how to contact you. The magnets perfect and they don't lose them. People always use them. They don't throw them away. Absolutely, 100%, especially to plumbers. I think plumbers can't have a better form of advertising. It's that fridge, it's in the kitchen and it's there the whole time. We found that the magnets are maybe ten times better than business cards because business cards get sent to them. They they go, okay, and they toss them away. Sometimes I've even found them in the bin. Once they're on there, they don't move. They hold up the invoices, the bills. Cards get lost, ripped up, torn. They're really good. Well, I did use business cards at the start, but I found that the magnets, people tend to keep the magnets. Cards they'll keep for a little while and they'll put it in a drawer or somewhere lying around and sooner or later it gets lost. With the magnets, like I said, they'll put them on a filing cabinet, they'll put them on a toolbox, they'll put them on somewhere around, because they're easy, out of the way and they're useful and they're always there. I've had people contact me two years later after giving them magnets because they've still got the magnet. They had the business card it wouldn't have been there. They wouldn't have called me. The fridge magnets are in a prime location for the customers so we quite often get business from their family and associated family members from that. A lot of the calls that we get for our magnets are actually for that live job. They need a trades-person straight away. It's visible. You're not looking for a card, you're not going for the phonebook, you're not getting lost with other tradies and they just ring the number. I'd recommend Mister Magnets to anyone that's in business. Ever since I started using the magnets, I won't look back. It's been the best thing I've ever done for my business. My Name is Vito Montesano and this is Stone Bar & Grill. We've been here for 3 years, we're predominantly the premier state venue in Melton, we also have a take away division, which we do a lot of takeaway through there as well. We aim to be the leaders in the food and beverage industry in Melton. From a restaurant point of view there is quite a bit. We just discussed Woodgrove Shopping Centre they have opened up 4 or 5 new restaurants there last year. It's a satellite city, but it's a big Satellite city, so we have to be on top of our game. By that we try to improve our service our quality and the experience for the diners coming here. Our magnets are used predominately in our takeaway division, so with every delivery we send out a magnet, which gets put on the side of the coffee table, or the fridge, the filing cabinet. The idea is to be in front of the people when they think about food and they ring us and it's worked well. We've shown a steady growth since we've starting using the magnets so l think that's without specifically pointing out the magnets, i think the magnets have had a big hand in helping us increase the deliveries. Obviously the guys down at the car yard which is Alan Mance i know they've got our magnets cause i've seen the guys pick them up when they come pick up their deliveries, their takeaway sorry , so i know for lunch the guys probably have it stuck to their filing cabinet you know what l mean, so we get quite a bit of work from there. Menu drops are more instantaneous i guess and there kind of like a one hit wonder. Once you send them out a week later your forgotten about, the thing with the magnet is that they don't generally get thrown out, they get stuck to the fridge and they're probably stuck there for years. I know i've got magnets at home that have been on my fridge for probably 5 years, so a letter box drop probably doesn't last that long so l think in one way the magnets are much better. I compared your prices early on, and they were well, well ahead, much better obviously. so since then i've never felt the need to compare the prices. I'm sure if you were like you were two years ago you would be pretty right. Absolutely, absolutely it's nice to get a follow up call every few months from your guys and they say look do you need anymore magnets, yay nay if not, if l do great they're in within a week or so if not we'll give you a call in a few months time so it's great. They place around the front entrance to the shop, so they can take one themselves, or when we do our deliveries we put one in every delivery. We have them placed on our front counter for each of the clients to grab one on their way in or way out. We also have what we call puppy packs and kitten packs; new client packs come in a folder, and we have the magnets in there as well. They have the number right there if they need it. 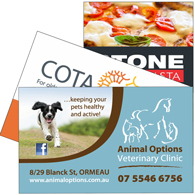 We distribute magnets in a number of different ways ­ through letter drops, which has been very effective in the past. We often do them in appraisals, whenever we send out a listing appraisal. There's always a number of magnets on the appraisal itself. We have them in open for inspection, so people can come through, pick one up, whack it on their fridge. I do a lot of pet expos and I visit a lot of veterinary clinics and that's primarily where I leave my fridge magnets for people just to pick up. When I finish a job, doing a job with someone I alway give them the magnets, so they can refer me on because all my work is referral work. It's always been a good bringer. It brings more work to me. We use those little clear holders. We fill them up and we go around to bakeries, Coles, where they've got the white boards and just leave them there. We go back the next week, they're all gone. Yeah, it's good. When customers come in and they purchase their flowers, we send out a magnet with all their arrangements and flowers they buy. With deliveries, we make sure they're attached in a card message so the recipient can receive a magnet also. The main way we do it is just simply have them on our counter. So when clients come in particularly new clients our staff will make sure that they get give a fridge magnet. On our first visit, we give our clients a fridge magnet. We also do a letter drop off where we give them a fridge magnet directly at their house. We also have a stand at the front of our desk where anyone is able to get one at anytime if they like. Generally what we do is we do a job, we'd issue a magnet to that customer with their invoice receipt, whatever that may be and then we'd walk probably 10 houses each way and across the road and distribute it through their letterboxes. I distribute my magnets once I've done the job, and I also ... sometimes people ask you for an additional couple, which they'll pass on to their friends. Hi guys. I'm Dimitri from Smart Connect Electrical. 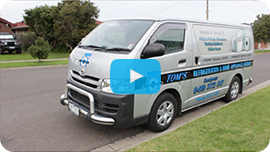 We cover a lot of electrical and data communications all around Melbourne. I find that we've had advertising in the past with local newspapers and Google AdWords and stuff. We found that we just had a big hole in the ground and we're just giving them money. We weren't, it wasn't working for us. I found that we've got to leave some kind of proper advertising that actually remains on the customer's site and we found that the magnets are maybe ten times better than business cards because business cards get sent to them. They they go, okay, and they toss them away. Sometimes I've even found them in the bin. I've had an incident that a customer actually said, "I was at a party and I saw a fridge magnet on your logo on their fridge." I've got referred jobs from that. We've done that. We've just spent a lot of money in local papers and found that it's not paying. It doesn't pay to do all that stuff. So then at the end, it's like we've spent more money than actually receiving, and the jobs, are not that big anyway. Yeah, it's actually a good advertising for your business. If anyone's got a business that they want to market, and market it like if it's a small business, medium business, or a large, the best thing to do is, magnets. That's it. You finish a job, "Here's a magnet. Oh, I heard you got a daughter or a son, here's another magnet. Give it to them." It's just word of mouth. Or here's someone else bang, and I leave 3 with a certificate on them and it works mate. I get calls, I'm busy and I'm loving it. Mister Magnets probably 4 or 5 times during the last year we've ordered. At the start, we had cards and stuff but we've just noticed that that's no longer. Now, we're just going full steam ahead with magnets. You get a bunch of a thousand, and we just get a thousand at a time. They just go like hot cakes; they're just gone. And then we just got to get another thousand. The magnets always just stick around, cards just go in the bin. Whereas a magnet actually is advertising 24 hours. It stays in the person's subconscious mind. I like it. I like that kind of marketing approach. I like it and it does work. I highly recommend Mister Magnets to any small business, medium size business and large business. I recommend Mister Magnets to anyone. Give them a call, and you'll know what I'm talking about. They do help. 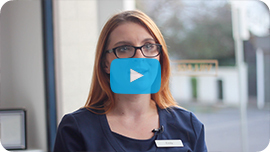 So I'm Sophie, I work for Mitcham Dental Clinic, and I've been here for 5 of the 20 years that the practice has been existing. Love working here, we consider ourselves a big foundation in the community dental care of this area. I think over the last couple of years, people haven't been spending as much money particularly on elective procedures we've seen a bit of a downturn in business and from that we just wanted to create a bit more of momentum about our theme in the area. One of the solutions that we considered but decided against were flyers. We've used them in the past. They're good to showcase what we're doing but, unfortunately, people don't keep them. It's much more useful to have a magnet on their fridge. When they need us, the number's right there. Patients have reported they've had them still there 10 years later. We chose magnets because we knew that they'd be around for a long time. You might throw out your other existing promotional material, but we know the magnet goes on the fridge, and I've still got them on the fridge at my house. We've placed four or five orders with Mister Magnets since we've been ordering the last six years. Our last order was 7,000 magnets, and we look forward to ordering more because they really work. They're a great form of advertising. Definitely recommend Mister Magnets. We've had no trouble with them. Always delivered very quickly. The customer service is excellent. My name is Emily. 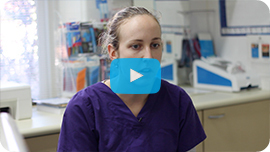 I'm a vet nurse at the Village Vet in Toorak. 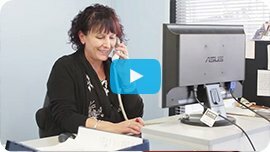 We've recently moved to our new premises, which is near the corner of Toorak Road and Tintern, so it's much different from our old clinic as a lot of our clients would recognize. We're a small-animal clinic, three vets and four nurses. Mainly dogs and cats. We see some rabbits and some reptiles, as well, which is fun. We use fridge magnets as advertising. We find it very handy and convenient for clients to have the information at home. Fridges are very communal, central space. We find a lot of clients recognize it quickly when they need it. Don't have to go searching through their phone or grab out the yellow pages, things like that. We don't really. We haven't found that it's been very effective in the past. For the money that it costs us we haven't found that we get many clients from it and so we often go with magnets. We do a little bit of Facebook, things like that, but even that we find isn't as effective. Yes. We've definitely found that it does help promote our brand, especially since we recently moved and our logo and our branding is completely different from what it was before. Our magnet is quite detailed with our new address, bits of information that perhaps other magnets wouldn't have, but it's just so people can now recognize our new branding and where we are. Mister Magnets we've dealt with for a long time. We worked with them for numerous times since I've been here, let alone the 20-odd years that the clinic has. We always find you very efficient. We find very quick to respond if we have inquiries or for adjusting our artwork before it's approved. I find that it's all been very quick and efficient, which saves me time. I find the quality has been great. Some of our clients had the magnets for seven, eight years and they look exactly the same. They wear very well. Mister Magnets offers a range of fridge magnets in around 17 different Standard Sizes. Our range starts at a square shape of 47mm x 47mm and extends to the largest magnet which is a DL Size 99mm x 210mm. Every one of our magnets is finished with a high gloss coating which protects your design and keeps it looking brand new, even after years of use. Due to optimisations made in our cutting process we are able to eliminate almost all wastage, so we can be more environmentally friendly, save money on our materials and pass those savings onto you. The smaller size range of magnets are typically used as promotional and business card magnets. These smaller sizes are by far the most common. The medium size range of fridge magnets are used for company branding, product launches and companies requiring a little more information on their magnet that the smaller sizes cannot support. The larger size magnets are often used as calendar magnets, sports fixture magnets and mailer cards for letterbox drops. Whichever size magnet you decide to order, they are all manufactured using commercial grade magnetic material. We offer a free design service to help integrate your contact details and logo into a design you will love. More importantly, the fridge magnet will be on display for the next several years, so looking professional and eye-catching is essential. Any one of our Standard Size Fridge Magnets can be ordered online or by calling a member of our customer support team on 1300 MAGNETS (1300 624 638). As you are dealing directly with the manufacturer, you can save a substantial amount or your hard earned dollars. 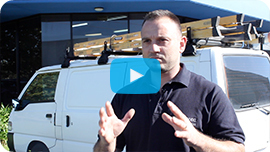 We are the only company offering a genuine ‘Lowest Price or it’s Free’ policy, even up to 30 days after you order. So there’s no excuse, order now and save.